Buying a house is part of the American dream, and because of this, millions of people attempt to get their first mortgages without truly understanding the process. By going into the lending process prepared, and by having some solid knowledge of the process and your finances, you are far more likely to not only get approval for your loan, but get a good interest rate, as well. Applying for a mortgage loan should never be a snap decision. In fact, most lenders recommend you start preparing 12 to 18 months in advance. There’s much to do in this time. You will need to scrutinize your credit history with a fine-toothed comb, pay off any outstanding debts you might have, gather and maintain accurate records, keep spending to a minimum, and keep working at your job or your business venture to boost your income as much as you possibly can. It sounds like a lot because it is a lot, but if you’re willing to focus, it can be done. A home is more than likely the biggest investment you will ever make, so you need to plan ahead. There are several things you need to do to qualify and get the best possible rates. Obtain & Scrutinize Your Credit History – You are entitled to one free copy of your credit report each year from all three major credit bureaus. What’s more, you can pay a fee to gain unlimited access to your credit history all year long. It is up to you which to choose, but it is vital that you obtain this information and look it over. Contact the credit bureaus if there are any mistakes and contact the companies you owe if you are in debt. Pay Off Old Debt – If this is the first time you’ve ever looked at your credit, you might be surprised at what you find. An old cell phone bill from 10 years ago or even an open credit card you haven’t used in a year or more could be hurting you. Pay off any old (valid) debt as quickly as possible, then contact the credit bureaus to make sure they take these off your history. Find a Loan Advisor – Once your credit is in order, and once you no longer have any old debt, the next step is to contact a loan advisor who can help get you on the right path. You will discuss things like your dreams for a new home, your budget, and the amount you can afford each month for a mortgage payment. Your loan advisor will help you figure out how much money you can get and what sort of interest rates you might receive. Keep Records of Everything – Over the next one or two years, keep everything, and keep it all organized. Keep your tax returns, paycheck stubs, bank statements, investment records, and more in a safe place, and make sure they are in chronological order. If you can give this information to your lender, it makes the underwriting process much smoother. Spend Carefully – Lenders will look at your debt-to-income ratio to determine whether you qualify for a loan. This number specifies the lender’s risk, so the more you owe, the riskier you become, and the higher your interest rate will climb. Spend very carefully and do your best to not take on more debt. Keep your credit card spending to about 25% of your total available credit, and don’t max out any one card. Save for Your Down Payment – You will get the lowest possible interest rates if you can save 20% of your down payment. Start saving right away, and put money you would typically spend on frivolous things like coffee or designer clothes into a high-yield savings account. Keep Working – Finally, lenders will also consider your income and employment history, so do your very best to keep that income steady. You’ll need to have at least two years’ employment with the same company to qualify for the best possible rates. As you can see, there is a lot that goes into preparing for homeownership. 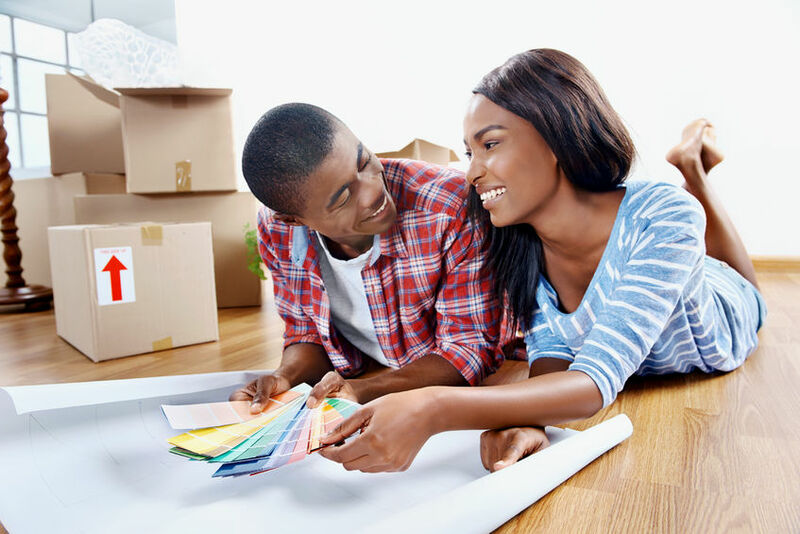 It will take diligence and self-control to perfect your credit and save the recommended 20% down payment, but if you can manage to do it, you will save yourself tens of thousands of dollars in the long run. This entry was posted in Blog and tagged First-Time Homebuyers, mortgage by Scott Li. Bookmark the permalink.